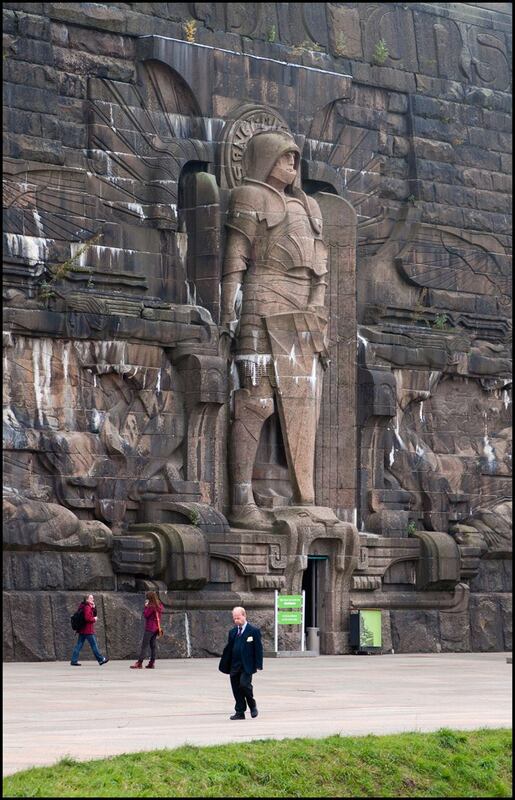 Völkerschlachtdenkmal, The Monument to the Battle of the Nations is a monument located in Leipzig, Germany. 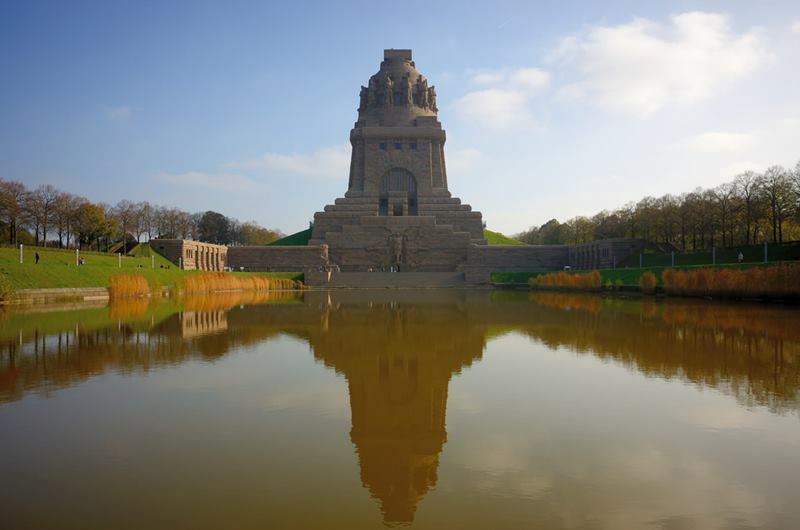 In memory of the 1813 Battle of Leipzig constructed in granite and sandstone. 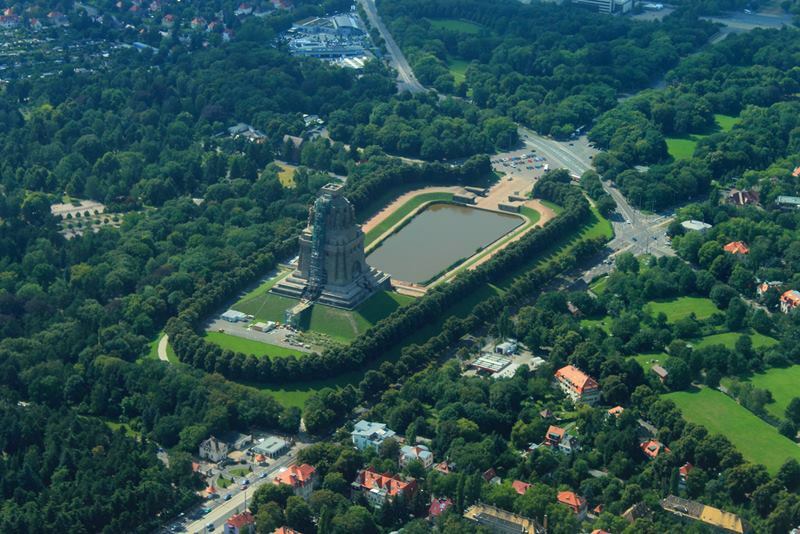 Designed by the Berlin architect Bruno Schmitz and inaugurated in 1913, with a height of 91 meters or 300 feet and 500 steps to a viewing platform at the top, from which there are great views of entire city and vicinity. 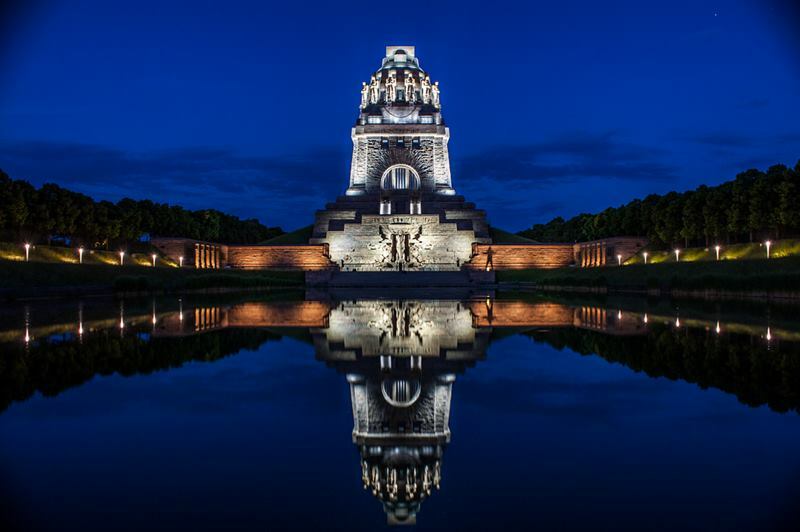 It is one of the greatest monuments in Europe and is one of the most famous sights of Leipzig in the state of Saxony. 1813, the Battle of the Nations was fought by alliance armies of Russia, Prussia, Austria, and Sweden against the French army of Napoleon aided by Polish and Italian troops as well as German-speakers from the Confederation of the Rhine. Napoleon's army was badly defeated and helpless to return to France. It was called the Battle of the Nations because involved over 600,000 soldiers and was the largest battle in Europe prior to the Great War. It is said to stand on the spot of some of the bloodiest fighting, from where Napoleon ordered the retreat of his army. 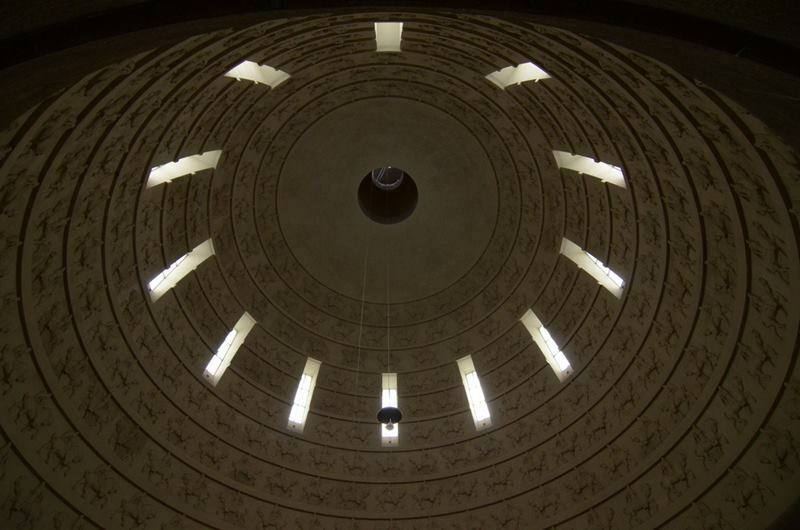 The temple shaped structure Monument composed with two storys. 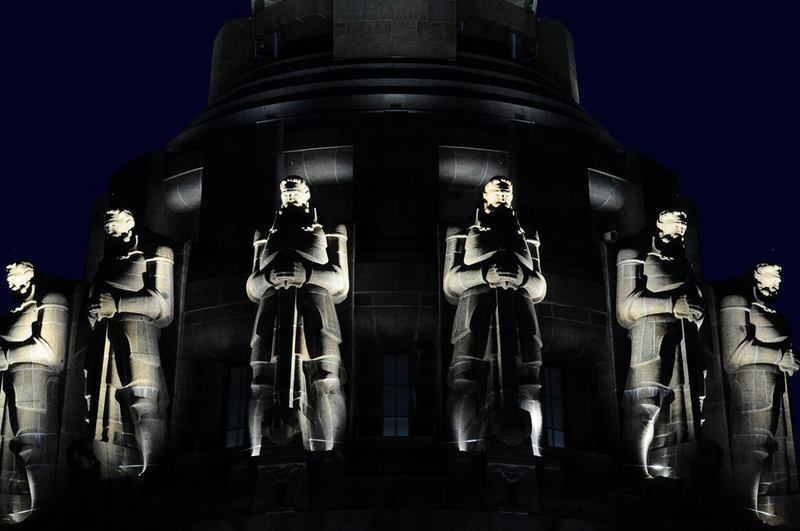 Eight massive medieval statues of fallen wariors standing on first story, each one is next to smaller statues called the Totenwächter "Guards of the Dead". 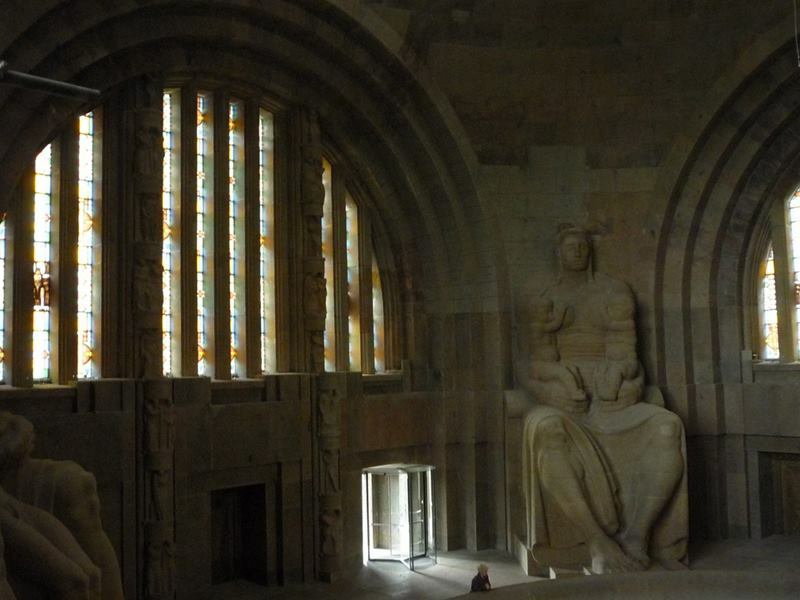 On the second story, the Ruhmeshalle "Hall of Fame" features with four statues, each 9.5 meters tall, representing the four legendary historic qualities ascribed to the German people: bravery, faith, sacrifice, and fertility. 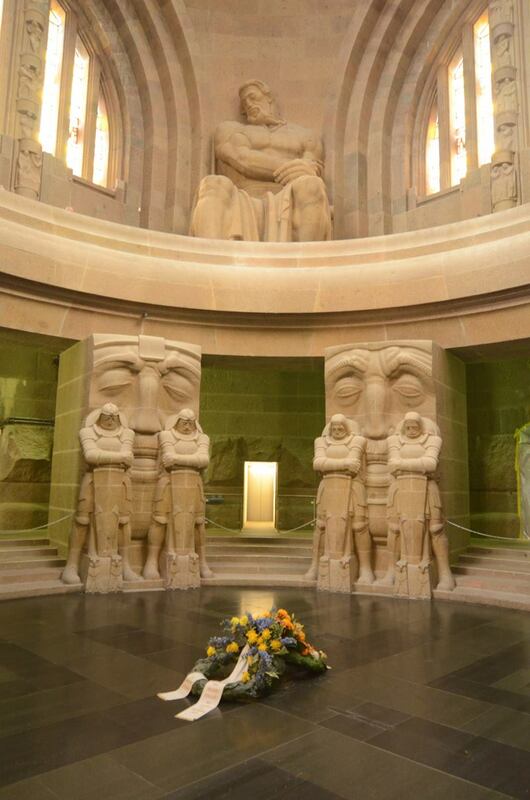 The statues of the monument were sculpted by Christian Behrens and his apprentice Franz Metzner, who finished the remaining statues after Behrens's death in 1905. 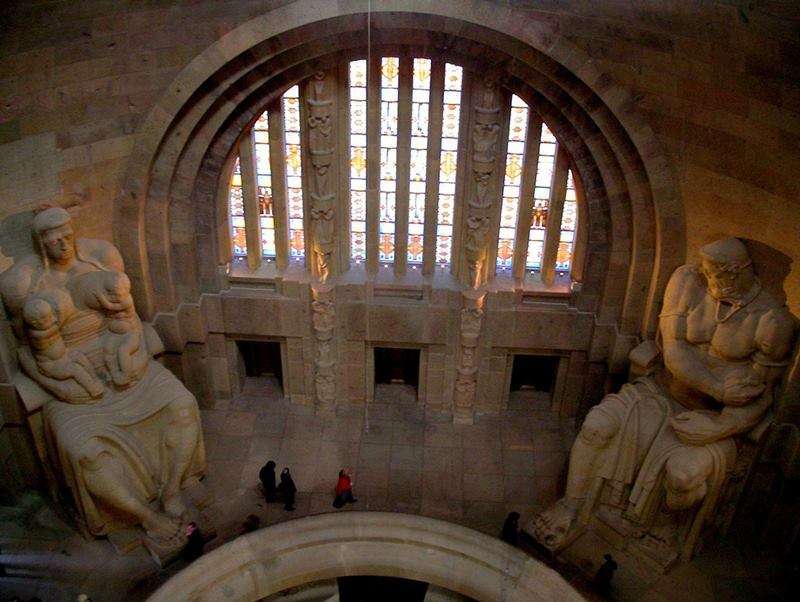 Metzner worked on the sculptures at the top and inside the memorial. 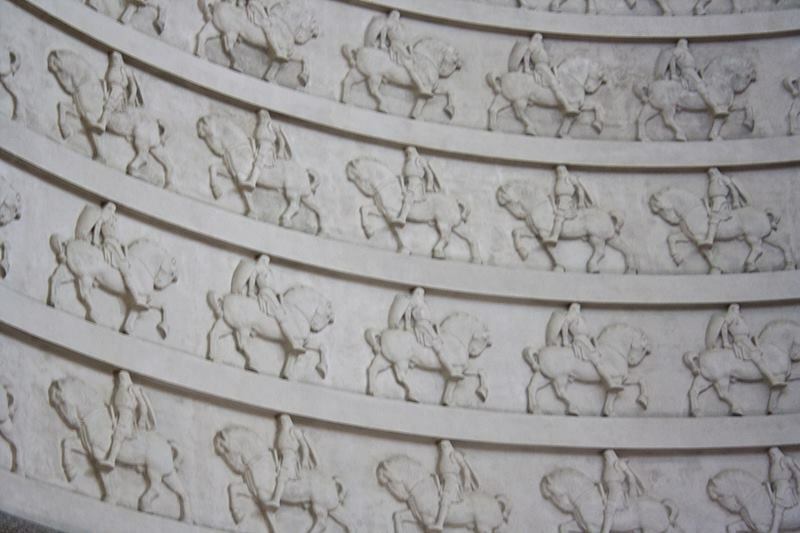 Although surrounding the monument are oaks, a symbol of masculine strength and endurance to the Germanic people of antiquity. The oaks are complemented by evergreens, symbolising feminine fecundity, and they are located in a subordinate position to the oaks. 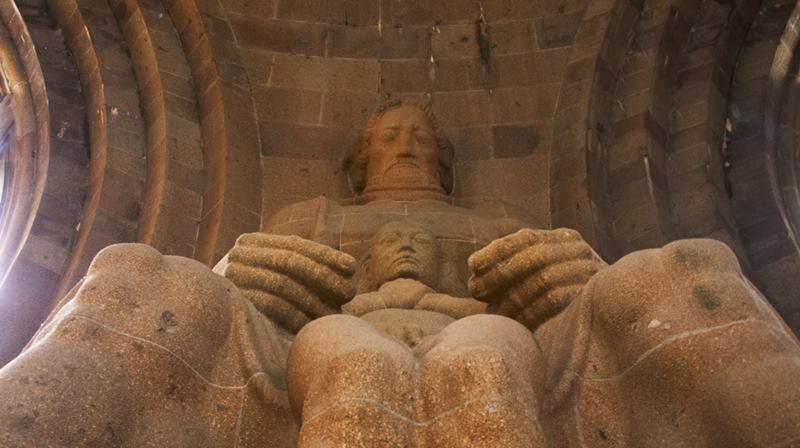 The 12 meters main figure on the front of the memorial represents the archangel Michael, considered the "War god of Germans".